Entrepreneurs who want to own their own retail business can buy into a proven concept with one of these top 10 miscellaneous retail franchises of 2019. 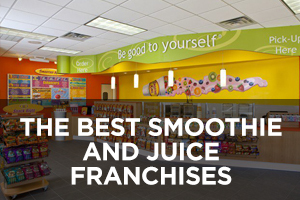 We’ve covered other retail franchises in these “best of” lists, but the ten covered here are those that don’t fall neatly into one of the major retail categories, such as apparel and accessories, convenience stores, tools, and vitamins and supplements. As such, this is a very diverse list with a range of business concepts including hardware, rent-to-own products, wireless services and products, hobbies, cosmetics, batteries and light bulbs, mattresses, trophies and awards, metal, and more. Although people have been talking about the decline of retail for years in the brave new digital world of online shopping, the retailers who are focused on improving the overall customer experience are still successful at getting people to come into their stores. All the companies on this list make a point of emphasizing their customer service. They’re hiring top-notch staff who have the knowledge and skills to really help customers quickly and efficiently while at the same time giving them the individual attention they need to walk away feeling satisfied. 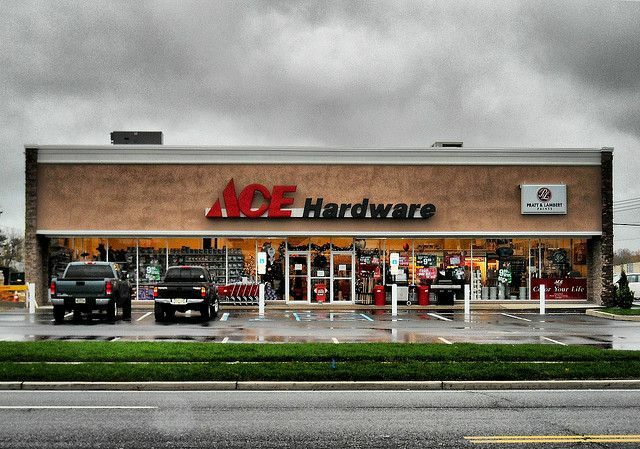 Ace Hardware has the distinct advantage of a widely-recognized brand identity. After all, who doesn’t remember the jingle from back in the day: “Ace is the place with the helpful hardware man” (although “man” was changed to “folks” in 1989 to be more inclusive). The chain dates all the way back to the roaring 1920s when four separate independent hardware store owners in Chicago made the decision to pool resources to buy inventory in bulk to increase profits and face off against larger stores. Ace Hardware stores carry a wide range of hardware and home improvement products, many of which are the company’s own brand. 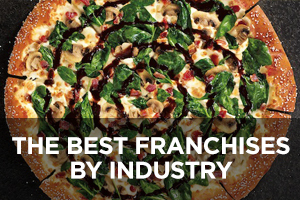 This company is currently ranked #13 (up from #19 last year) on Entrepreneur magazine’s Franchise 500 list. Founded in 1924 and franchising since 1976, the number of locations has continually expanded slowly but surely during the past nine years from 4,433 in 2009 to the current total of 5,068, of which 122 are company-owned and 633 are located outside the U.S.
Rent-A-Center is a franchise concept that allows customers to rent a wide range of products including furniture, appliances, and various electronics, such as computers, smartphones, televisions, home theater and audio systems, and video game consoles. The chain carries a variety of brand-name products, allowing customers to begin renting products without credit and without being locked into long-term contracts. Delivery, set-up, and product service is included and customers can cancel or upgrade systems and products at any time. This is a rent-to-own concept with a “worry-free guarantee,” which means you can stop or freeze payments at any time by returning the product, and then pick it up again later right where you left off without penalties or interest. 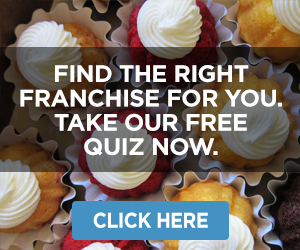 This company is currently ranked #200 (up from #266 last year) on Entrepreneur magazine’s Franchise 500 list. Founded in 1980 but franchising only since 2013, the number of locations has declined in recent years from a high of 3,297 in 2013 to the current total of 2,496, of which 2,316 are company-owned and all are located in the U.S.
Merle Norman Cosmetics got its start all the way back in the 1920s when Merle Nethercutt Norman started sharing her homemade skin-care products with family and friends. She essentially pioneered the whole “try before you buy” concept with product demonstrations, and it worked. She was also one of the first to create the powerful before/after makeover demonstration that spurred more women to purchase her products. She passed away in 1972, but her company is still family-owned and has paved the way for many women to become independent business owners with hundreds of high-quality cosmetics and skincare products that are both made and packaged by the company, all in the U.S. This company is currently ranked #450 (slipping from #421 last year) on Entrepreneur magazine’s Franchise 500 list. 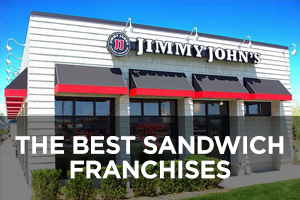 Founded in 1931 and franchising since 1973, the number of locations has been declining in recent years from 1,386 in 2012 to the current total of 1,132, of which only one is company-owned and 54 are located outside the U.S. Batteries Plus Bulbs has a business concept shaped in part by everyone’s dependence, in the modern world of mobile electronic devices, on batteries of all shapes and sizes. The batteries were the original concept, while replacement light bulbs is a more recent addition to the original concept. Its supply network has access to more than 45,000 different kinds of batteries and light bulbs, so if the store doesn’t have it in stock, they can get it for their customers. Seeing that many people needing replacement batteries for a mobile device also frequently needed repair services, this was also added to its business concept in 2014. Trained technicians will accurately diagnose what’s wrong with cell phones, MP3 players, tablets, and eReaders; provide a quote; and fix them. 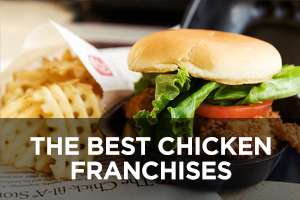 This company is currently ranked #114 (up from #118 last year) on Entrepreneur magazine’s Franchise 500 list. 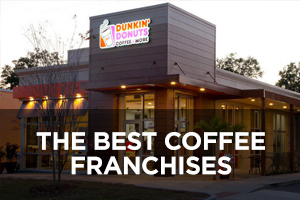 Founded in 1988 and franchising since 1992, the number of locations has continued to expand during the past nine years from 353 in 2009 to the current total of 732, all of which are located in the U.S. and 66 of which are company-owned. Wireless Zone has been around since 1988, when Russ Weldon had the foresight to realize that mobile phones were going to be huge. His business was first called The Car Phone Store, but in 1999 the name was changed to Wireless Zone to include all cell phones as well as GPS navigation devices, wireless accessories, wireless data devices, and pre-paid cellular services. The company’s mission, as stated on its website, is to be a leading brand “…dedicated to finding the right device for you, your family, your business and your lifestyle. Our stores offer competitive prices on today’s most popular smartphones, devices and accessories with award-winning customer service.” For wireless service, the company represents Verizon, giving franchisees a big boost with such a widely-recognized and trusted brand. 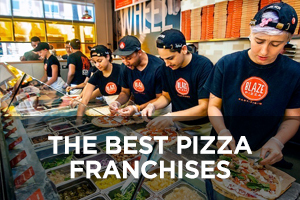 This company is currently ranked #355 (up from #388 last year) on Entrepreneur magazine’s Franchise 500 list. 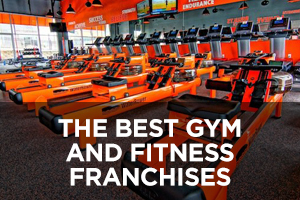 Founded in 1988 and franchising since 1989, the number of locations currently stands at 367 (up from 335 last year), all of which are located in the U.S. and none of which are company-owned. Buddy’s Home Furnishings is a rent-to-own concept similar to Rent-A-Center where customers can rent all kinds of furniture, electronics (televisions, game systems, audio systems, DVD/Blu-Ray players, smartphones, etc. ), appliances (washers, dryers, dishwashers, ranges, refrigerators, freezers, and air conditioners), lawnmowers, and outdoor furniture. The company also recently added a selection of women’s handbags to its menu of product offerings. It claims to be the largest independent rent-to-own company in the United States (Buddy’s main competitor, Rent-A-Center, is a publicly-traded company). The company’s “lifetime reinstatement program” means customers never lose a dollar they’ve invested in rentals from Buddy’s. This company was previously ranked #190 on Entrepreneur magazine’s Franchise 500 list, but has slipped off the list entirely and hasn’t reported data for two years. Founded in 1965 but franchising only since 2007, the number of locations stood at 288 in 2017, of which 37 were company-owned and two were located outside the U.S.
Crown Trophy was started by Chuck Weisenfeld in Brooklyn, New York back in 1978 and focused largely on awards for local sports leagues, but soon expanded to include youth groups, clubs, schools, and organizations of all types. The company can create awards for any sport, company, or for any reason to recognize an individual or team of people for their accomplishments. The selection of possibilities is truly immense, including trophies, medals, plaques, acrylic awards (clear), crystal awards (glass), cup trophies, ribbons, corporate awards, championship belts, badges, clocks, desk accessories, rings, frames, sculptures, and custom awards. It develops products that cannot be found anywhere else and can also produce a wide range of promotional materials or “swag” as many call it, including lapel pins, t-shirts, baseball caps, and much more. 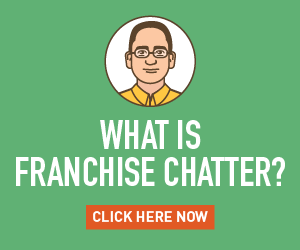 This company is currently ranked #376 (slipping from #324 last year) on Entrepreneur magazine’s Franchise 500 list. 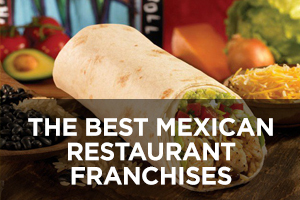 Founded in 1978 and franchising since 1987, the number of locations has declined slightly in recent years and currently stands at 139, all of which are located in the U.S. and none of which are company-owned. HobbyTown got its start back in 1969 when husband-and-wife team Merlin and Mary Hayes started a hobby shop in Lincoln, Nebraska. Teaming up with Thomas Walla, they bought a competitor’s store and eventually started franchising the HobbyTown concept. Each location sells a variety of airplanes, boats, cars, trucks, rockets, helicopters, trains, and rock crawlers, some of which are build-it-yourself model kits, and many of which are fully-assembled remote-controlled vehicles. Other popular products include drones and FPV racing materials, and a wide variety of toys, games, trains, and crafts. The hobby/game market has been growing at a healthy clip in the post-recession environment, logging in growth of as much as 15%-20% in recent years. 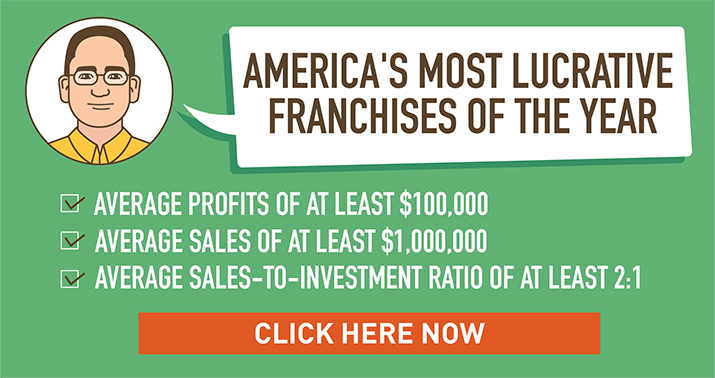 This company is currently ranked #369 (up from #419 last year) on Entrepreneur magazine’s Franchise 500 list. 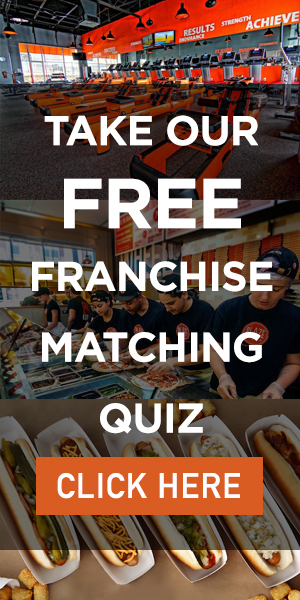 Founded in 1969 and franchising since 1986, the number of locations currently stands at 138 (down from a previous high of 162 in 2014), all of which are located in the U.S. and none of which are company-owned. Slumberland was started in 1967 by a 25-year-old Ken Larson in Richfield, Minnesota. In those days, the only places where people could purchase a mattress were at furniture stores and department stores with limited options. But a new trend was on the rise: sleep stores devoted to carrying a wider range of mattress products, along with experts who could really help people find the mattress that would be right for them and their unique needs. Slumberland capitalized on this trend and over the years began expanding into other products lines including bedroom furniture, La-Z-Boy recliners, and limited collections of furniture for the whole house, including living room and dining room furniture, chairs, area rugs, bed linens, tables, wall décor, cabinets and storage pieces, and home office furniture. 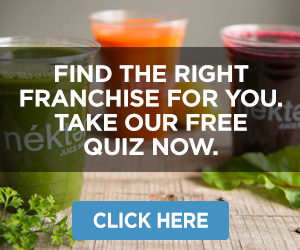 This company was previously ranked #200 on Entrepreneur magazine’s Franchise 500 list, but has slipped off the list entirely and hasn’t reported data for two years. Founded in 1967 and franchising since 1974, the number of locations stood at 127 in 2017, of which 53 were company-owned and all were located in the U.S.
Metal Supermarkets is a unique concept that can be likened to a convenience store for metal. Anyone who has ever been in need of a piece of metal for a random project or need knows exactly how hard it can be to find what is needed in regular hardware or home improvement stores, but finding the right piece of metal for any project is much easier when people can visit a shop that specializes in metal products. Each location carries a variety of aluminum, hot-rolled steel, cold-rolled steel, stainless steel, alloy steel, galvanized steel, tool steel, brass, bronze, and copper. Stores also cut, shear, and punch the metal product to match the customer’s intended application. There are no minimum order sizes so customers never have to buy more than they need. Customers who are unsure of what type of metal they need for a project will find the staff at each location knowledgeable and ready to help. 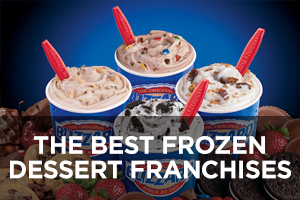 This company is currently ranked #388 (slipping from #307 last year) on Entrepreneur magazine’s Franchise 500 list. 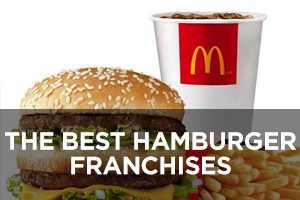 Founded in 1985 and franchising since 1987, the number of locations currently stands at 91, of which 10 are company-owned and 25 are located outside the U.S.